TNT has been making a concerted effort to beef up its edgy dramas. And while the cable network has cancelled many, its gritty Animal Kingdom TV show performed well enough to score a second season. How long will its lucky streak continue? Will Animal Kingdom be cancelled or renewed for a third season? Stay tuned. This TNT crime drama stars Ellen Barkin, Scott Speedman, Shawn Hatosy, Ben Robson, Jake Weary, Finn Cole, and Molly Gordon. In season two, the recurring cast includes Alex Meraz, Jennifer Landon, and Tembi Locke. A television adaption of the 2010 Australian feature film, the Animal Kingdom TV show centers on Joshua “J” Cody (Cole). After his mom dies from a heroin overdose, J moves in with his estranged grandmother — Janine “Smurf” Cody (Barkin) — and her unruly clan of criminals. The second season opens with the Codys up to no good. When their heist fails to proceed as planned, it shakes up the family dynamics. As a threat from Smurf’s past emerges, they must decide whether to break away, or rally to her side. For comparisons: the first season of Animal Kingdom averaged a 0.43 rating in the 18-49 year old viewer demographic and 1.268 million viewers. What do you think? Do you like the Animal Kingdom TV series on TNT? Should it be cancelled or renewed for a third season? 7/27/17 update: Animal Kingdom has been renewed for a third season by TNT. Details here. 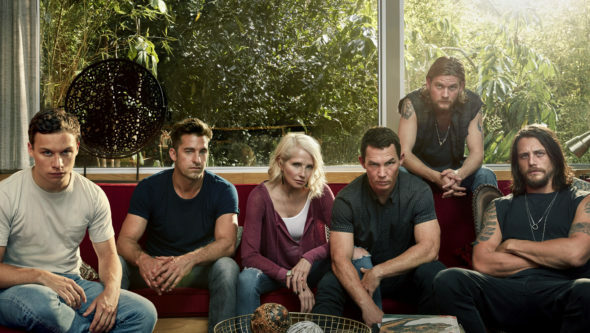 Animal Kingdom: Cancelled or Renewed for Season Three on TNT? Please SEASON 4!!! !Love the show! !